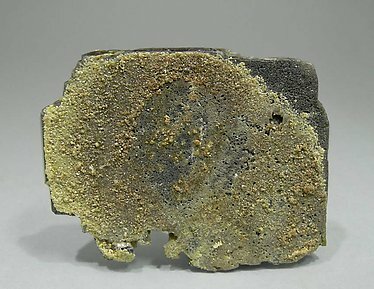 The sample is from a recent find of this species at an European locality that we can consider as a classic for excellence. Group of very aerial tabular crystals of very well defined faces and edges. From the classic Sainte Lucie Mine. 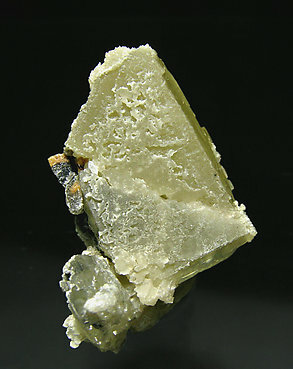 A tabular floater crystal, of considerable size for the species, partially covered by Cerussite. Faces on sides show well defined terminations.